BJ Riley Pest Control is a local and family owned company providing pest and termite control in The Greater York, Lancaster and Adams Counties, Pennsylvania. BJ Riley Pest Control is a local and family owned company providing pest and termite control in York, Pennsylvania. 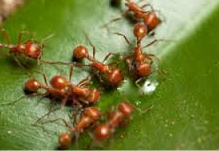 BJ Riley Pest Control uses only environmentally friendly insecticides applied safely in accordance with manufacturer’s and EPA guidelines. Our application methods are safe for you, your property and your pets. When it comes to pests, prevention is the best policy. Regularly scheduled preventative treatments by BJ Riley Pest Control can save you both time and money. Our pest control professionals will make scheduled inspections and follow-up treatments to ensure your home stays pest-free year round. 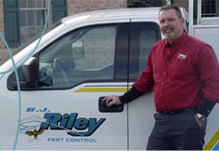 What Can BJ Riley Pest Control Do For You? BJ Riley Pest Control’s ongoing training has allowed us to use the most environmentally friendly insecticides, baits, and traps. 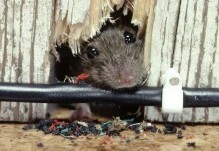 We work hard to protect your building and home from infestations and the occurrence of pests. Our services have grown over the years to include safer techniques for pest elimination. Call us today for a personalized assessment and pest control strategy! 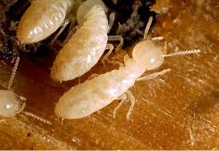 Contact us today in York, Pennsylvania, for more information about our termite control services. Copyright © 2016 BJ Riley Pest Control. All rights reserved. Website Design by JAZ Design Company, Inc.